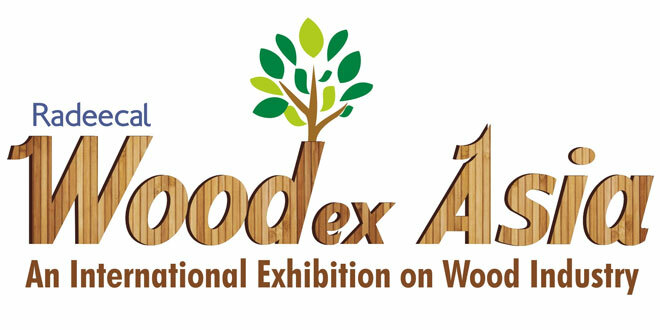 Radeecal Communication is pleased to announced 4th edition of Woodex Asia 2019 which is going to be held from 27th to 29th September 2019, at Mahatma Mandir, Gandhinagar, Gujarat, India. The Finest Trade Show for Woodworking Machinery, Furniture Hardware Fittings, Power Tools, Adhesives, Wood Plywood & Panels, Wood Laminates, Wood Flooring, Wood Composites, Particle Boards, Raw Materials, Coatings, Veneer, Timber & Lumber, Doors & Windows and More Wood Related Products. India is very rich in its forest wealth having a huge land area under forests. India is home to a variety of forest growth, ranging from tropical hardwood forests to high altitude coniferous forests and from deciduous forests to evergreen plantation. But unfortunately the forest resources in India are depleting due to an increase in population and other causes. The Wood and Wood based Industry plays a very vital role in shaping the robust growth of the Indian Economy. This industry has true potential to grow manifolds from the existing levels and is poised for a sustainable growth annually. The last decade has seen India very fast become the manufacturing hub for the global markets. The Wood Industry is one of the key sectors having immense potential for gaining from these developments as India is one of the major wood-users in the Asia pacific region. Asia Pacific region has over 4650 varieties of wood-yielding species and has some of the best known and most highly prized tropical hardwoods. Although a mere percentage of India’s woodworking industry is organised, the demand-supply gap is attracting more and more foreign players to India; and the current e-retailing boom also offers immense business opportunities. The ‘Make in India’ initiative by the Indian Government aims to bring about high quality standards and hopes to attract a sizable international capital and technological investment in India.